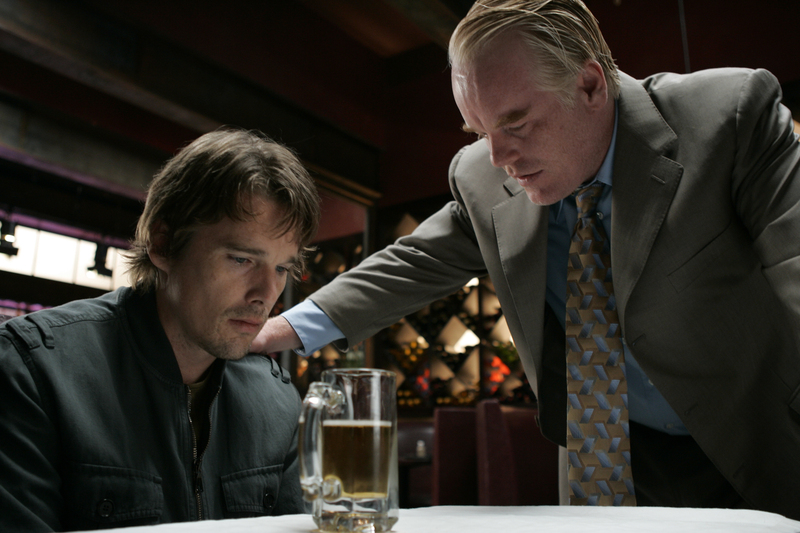 Waking this morning to the news that the extraordinary actor Philip Seymour Hoffman has died at the age of 46, my thoughts first turned to a film all about death. 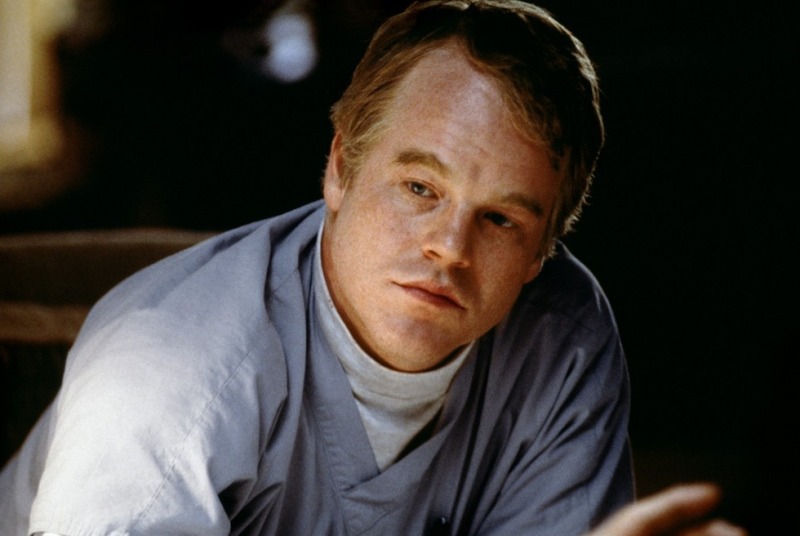 In 2012, I wrote a long piece for this blog about all the lonely people who populate Paul Thomas Anderson’s films, including Magnolia, in which Hoffman gives my favourite performance in that film and of his celebrated career, as cancer nurse Phil Parma. Back then, I wrote the following of his exquisite performance, that he is ‘the film’s warmest, most human centre’. This appraisal, with the sadness of today’s news, seems more true to me now than ever. 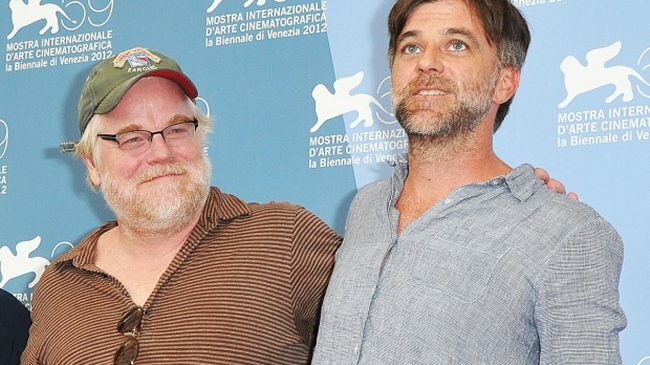 Hoffman did much of his finest work under Paul Thomas Anderson’s direction. He was both hilarious and heartbreaking as Scotty J. in Boogie Nights (1997) and of course unforgettably strange and seductive as Lancaster Dodd in The Master (2012). He also had small roles in Hard Eight (1996) and Punch Drunk Love (2002). In many ways, he was the most memorable part of each of these Anderson films. If you watch the special features on the Magnolia DVD you’ll see Anderson and Hoffman fooling around, like great friends. You get a sense of their personal and professional relationship; of a great love and respect. It’s difficult to think, now, that Hoffman will never appear in another Anderson film. More difficult for Anderson, I’m sure. My first memory of Hoffman is in Todd Solondz’ black comedy, Happiness (1998), although he didn’t come into full consciousness for me until I saw him in Boogie Nights. In Solondz’ film, Hoffman played Allen, who passes the time making obscene phone calls. He played weird kind of wonderfully, but still empathetically. Hoffman, with his crinkly brow and downcast posture, always seemed to me to be an actor completely devoid of vanity. I don’t know if this is true, but it’s a testament to his genius that if he had any conceit or self-consciousness, it never showed. Yet he was always beautiful; he always made the right impression. Character always came first. Hoffman was a character actor who could carry an entire film. He was a versatile actor, for sure, but he had something that surpassed versatility. I’m not sure what to call it, but in roles as varied as Caden Cotard in Synecdoche, New York (2008) to Jon Savage in the excellent The Savages (2007), or as Father Flynn in Doubt (2008) and the deeply flawed Andy Hanson in Sidney Lumet’s Before the Devil Knows You’re Dead (2007), you can see it. He got in and burrowed deep. Depth and sympathy. He seemed to know our secrets. He played characters who struggled, characters with spines, characters with doubts – misfits, tragic, damaged, complex versions of all of us. ‘Benign’ characters, Hoffman told David Edelstein of New York Magazine, are ‘less truthful.’ Then there’s Freddie Miles in The Talented Mr Ripley (1999), Lester Bangs in Almost Famous (2000), Wilson Joel in Love Liza (2002), Truman Capote in Capote (2005), Gust Avrakotos in Charlie Wilson’s War (2008), Paul Zara in The Ides of March (2011) and Robert Gelbart in A Late Quartet (2012, released as Performance here in Australia). His list of wonders goes on. You felt sympathy for all of them, no matter how debauched, no matter how ugly. As David Fear (Rolling Stone) points out, ‘He made you feel for them, period.’ One of the very best actors we’ve ever had. I’ve written this without editing, except that it’s been strange to write in the past tense, and I’ve had to go back and fix that a few times. It’s so strange and so sad. Philip Seymour Hoffman in my eyes was and will continue to be the most talented actor out there. His love of theatre, of film and the arts was such a beautiful and rare thing to see among the majority of actors of today. When I first fell in love with his talents I spent some time going back through almost every film he had played in, from Love Liza, Flawless, Happiness and Boogie Nights to some of his more celebrated roles (Magnolia, of course, Capote, obviously), and he never once failed to wholly embody each role beyond physicality and steal every scene. The idea that I won’t see him again, as if I knew him, is devastating. He would have given so much more to the world had he had time. It is so strange and so sad, and worst of all too soon. He really was one of the best, if not the best working now. I feel the same as you, all too soon. Doesn’t quite feel real to me today.